So you may have seen the awesome GWP (Gift with purchase!) that Space NK offered a couple of weeks ago… I fully participated. You had to spend £150, and then you got a goody bag and a £50 voucher. £150 is actually so easy to spend in Space NK… my boyfriend and I got Christmas presents for the women in our families sorted though! In the first order I bought the NARS Promiscuous lip pencil set (reviewed here) & a new By Terry baume de rose, because my current one is on its last legs. 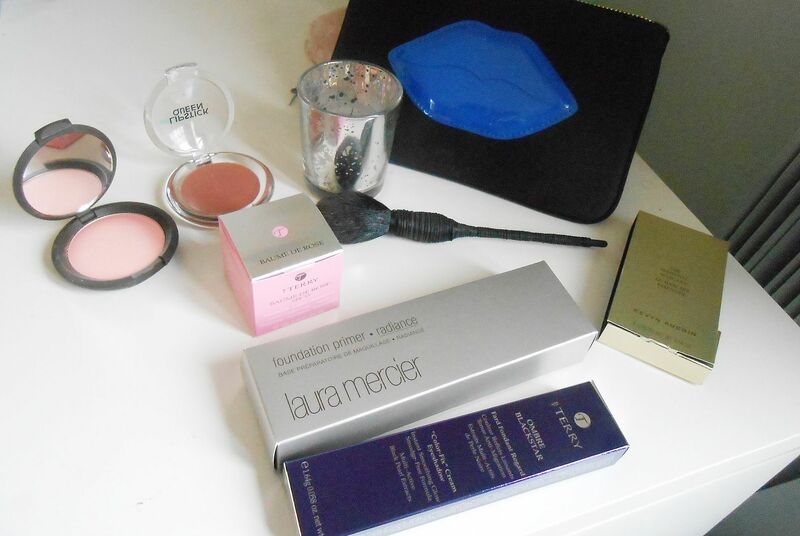 The goody bag has also been divided up for presents, but I nabbed the Becca mineral blush, Lipstick queen matte gloss, Kevyn Aucoin mascara sample and the Diptyque candle (which I forgot to photograph…)! I also, obviously, took the £50 voucher 🙂 I had planned to use it for Xmas sale shopping, but it expires on the 24th of December, so I had to spend it soon. Mmm hmm… With the voucher I got the NARS Yachiyo Kabuki brush, which I have wanted for so so long and it’s finally mine! I also got a replacement Laura Mercier radiance primer because mine is almost finished & a new By terry ombre blackstar eye crayon in Misty Rock, which I am really excited to play around with!